Inspired by the glamorous interiors of the Art Deco era, the Zoe Console table by Rugiano draws upon the striking shapes of pillars and spirals. 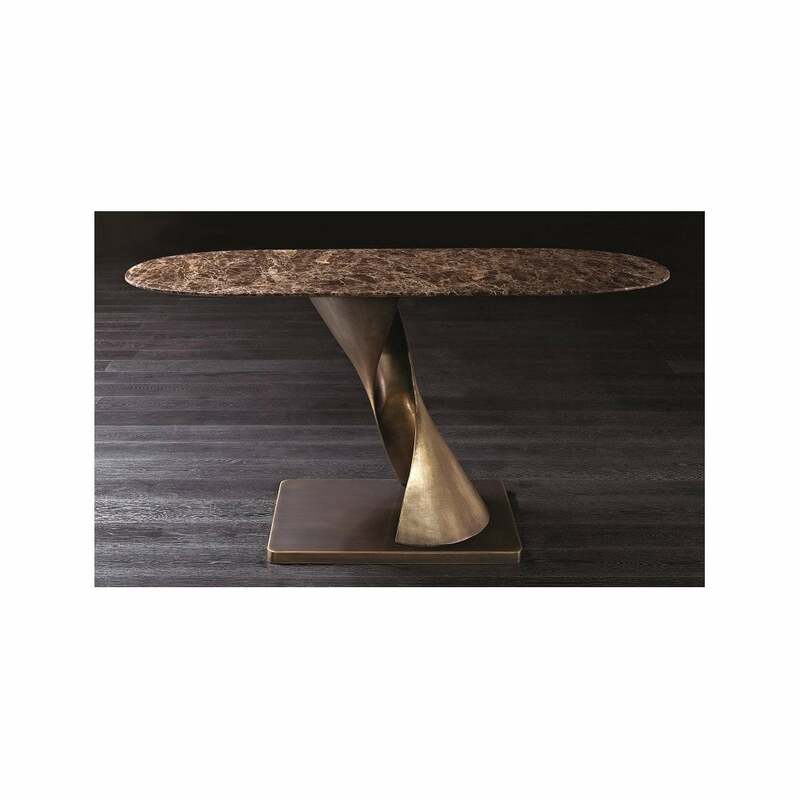 The console features an elegant and sculptural base crafted from a choice of polished aluminium, bronze or leather. The organic shape will add drama to an entranceway or living space working beautifully with hues of deep amethyst, charcoal grey and gold. The rectangular table top is designed with soft, rounded edges to mimic the contours of the base. Choose from a variety of finish options including Pelle leather, ebony wood or solid marble. Completed with a layer of protective glass, the Zoe Console is a must-have investment piece that will stand the test of time. Make an enquiry for more information.